For all the fun, click "HERE" and please enjoy it! 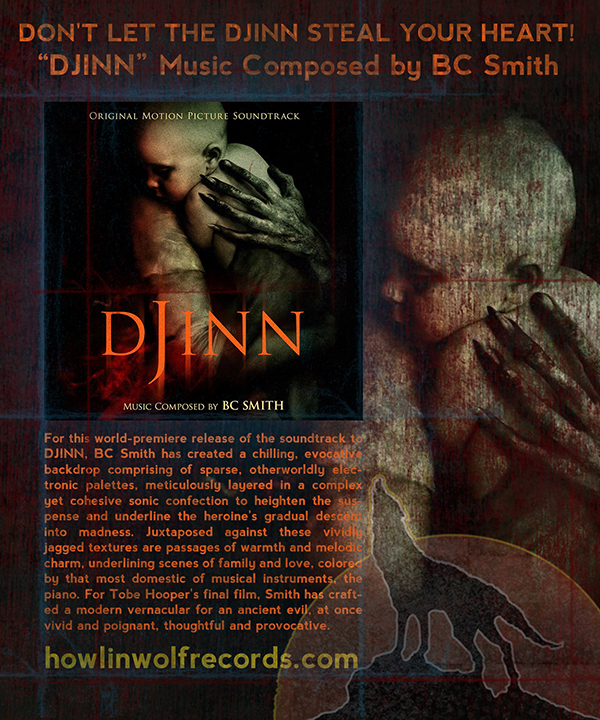 Available as a limited pressing of 250 CDs, Howlin' Wolf Records proudly present BC Smith's score for DJINN. Today is the official release date for Howlin' Wolf' Records "DJINN", this was the final film of director TOBE HOOPER so I am feeling this score was meant to be heard.